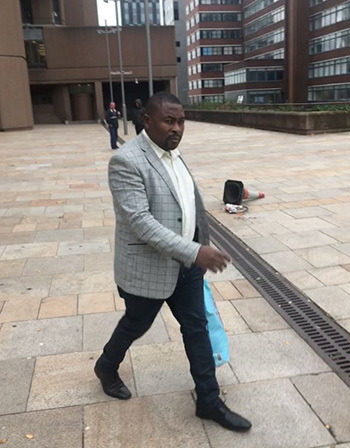 LIVERPOOL: A dad-of-six who lunged at his eldest daughter with a knife and hit his wife walked free from court on Friday. Tony MacKenzie, originally from Zimbabwe, threatened to kill Purity Muchekesi, 23, when she intervened in a row between him and Tamisai Muchekesi, 44. Liverpool Crown Court heard he had two wives at one stage and said Tamisai had accused him of contacting his ex-partner. The nursing assistant was previously jailed for nine months when he broke his other wife’s jaw with a piece of wood. But the 46-year-old was spared prison for the latest domestic outrage. Kenneth Grant, prosecuting, said the “ugly” incident unfolded at the family’s Poplar Drive, Everton home at 1.30pm on August 24 this year. Purity said MacKenzie had previously shown “unpleasantness” and “aggression” to his wife, but threatened them not to tell police. She said he returned home from work, argued with Tamisai and mentioned her name, so she went to their bedroom to ask what was going on. Her dad shouted “no one asked you to come in here” and Tamisai tried to leave with their baby, who had come in and started crying. MacKenzie threatened her “you’re not going anywhere”, but she took the child to their 18-year-old daughter Amanda’s bedroom. He grabbed at Tamisai, whose daughters tried to protect her, before she handed over the baby, and he shut himself in their bedroom. He said Tamisai again tried to get their baby, but he slapped her in the face, then grabbed Purity by the throat. Tamisai, who did not support the prosecution, went downstairs, but MacKenzie followed her to the kitchen. Grant said he lunged at Purity with the knife, but struck and damaged the kitchen wall. In a retraction statement, Purity later said if he really wanted to stab her, he could have done. Tamisai went into the street with her baby, followed by her husband with the knife, which he ditched in a nearby garden. Amanda phoned the police, who arrested MacKenzie, before later finding the blade. MacKenzie was charged with attempted wounding, threats to kill, two counts of assault and possessing a knife. The dad admitted affray ahead of a trial and prosecutors agreed to drop the other charges. He was jailed for nine months in February 2007 for assault causing actual bodily harm on his ex-wife. Purity – who has moved into a flat – and Amanda said they hoped their family would be reunited for Christmas. He said Tamisai, sitting in the public gallery, was “hopeful the relationship can be restored”. 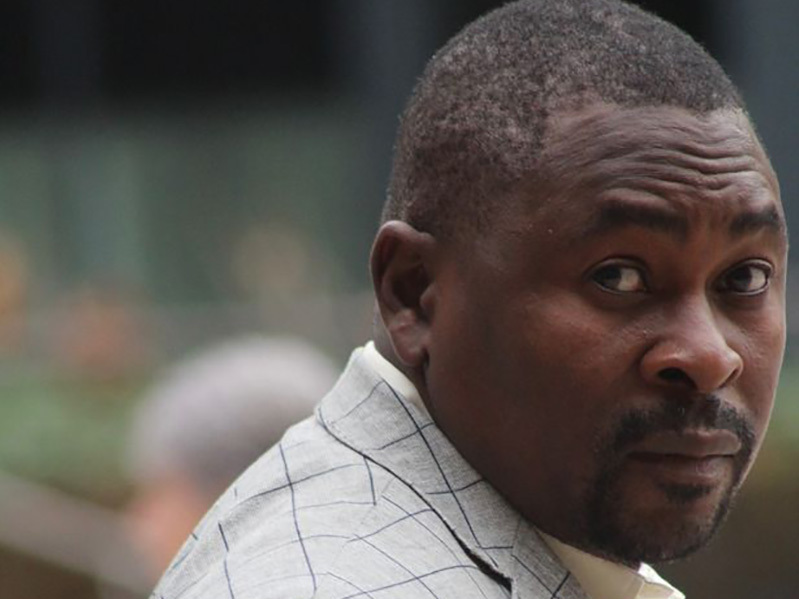 Jason Smith, defending, said MacKenzie began a relationship with Tamisai in Zimbabwe in 1993 and moved to the UK in 2006, before she joined him in 2012. However, he first came to England with his other wife, but due to Visa issues returned to his homeland, leaving her here. Mr Smith said: “When Mr MacKenzie returned to the UK, the wife he had left in the UK had a child, that clearly wasn’t his. He said MacKenzie, who spent 44 days in custody, lost his job as a nursing assistant and could not work in that field again. Smith said the dad, who suffers from epilepsy, hoped to find a new job to continue supporting his family. He said MacKenzie was now living in Aintree and “extremely grateful” for having his family’s support, despite his “appalling” behaviour. Judge Jonathan Foster, QC, said it was a “sad” case of domestic violence. The judge said: “This was a dreadful day. You returned home, argued with your wife, slapped her hard across the face and then lost your temper with Purity. “You took a knife and lunged towards her with such force that the knife broke against the wall. He handed MacKenzie 12 months in jail, suspended for two years, plus a three-month home curfew. The judge said he must attend a 20-day rehabilitation course and pay £1,000 towards court costs.